Either they would have averaged a lot lower. Or I would hurt a lot now. The idea was born when some of the folks who rode today participated some years ago in the annual HH-B Brevet organized by Audax Club. Same distance, same rules – only that it is even organized as a team time trial: Go as fast as possible, don’t go by any given route (actually: navigate your own route), but go past certain control stops. Well, they do give you some sort of breakfast in the morning, so no complaints, please. And no complaints were heard, apparently. Why else would one want to do this again and again, and even in a manner that you need to organize even the little remaining tid bits (such as the breakfast part) yourselves? And the landscape has a very special beauty to it, a bit plain (no mountains), sometimes a bit bleak to the eye, but very cozy and homey, a bit like parts of the English countryside – only that the cows look different with their black spots that are so endemic to the Schleswig-Holstein area that the beasts are actually called „Holsteins“. 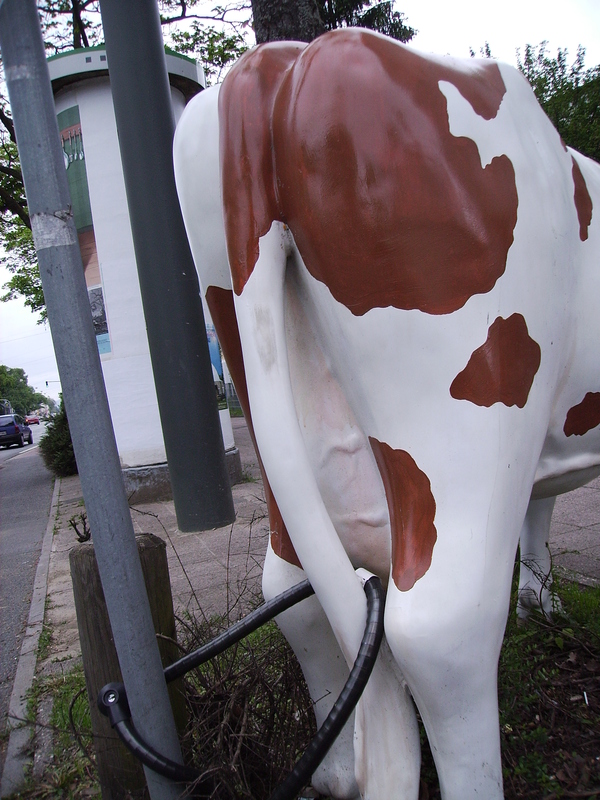 By the way, the Holstein cows‘ pedigree goes all the way back to the USA, not to Holstein, Germany. 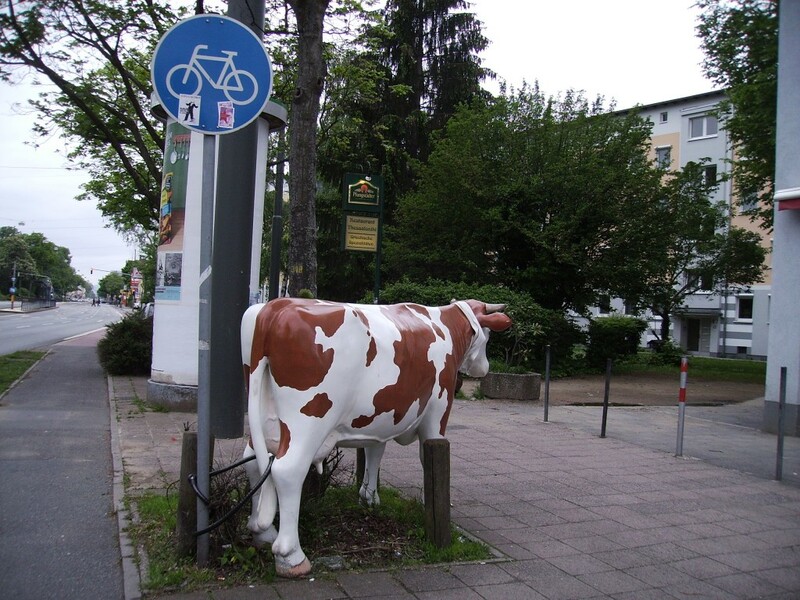 They have been bred from two different breeds the German immigrants brought to America in the 17th century and returned to Germany as „Holstein-Frisian“ (or „black-pied cattle“) no sooner than 1876.